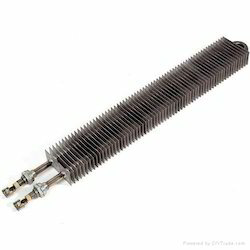 We offer Air Finned Heater fabricated using 8.2mm to 8.5mm dia chrome nickels steal tube. 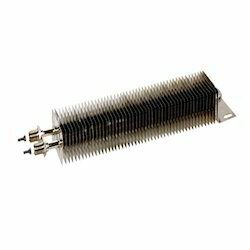 Being an industry leader, we offer a wide range of Air Finned Heater that finds its application in uniform heat transfer, air ducts, dying apparatus and forced air heating. 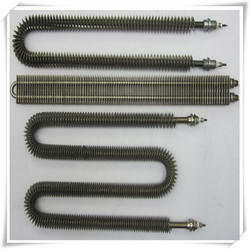 These are fabricated using 8.2 mm to 8.5 mm dia chrome nickels steal tube that have round mild finned of diameter 35 mm. 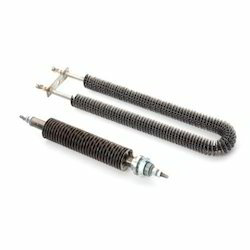 We offer these air finned heaters along with 2 brackets for various installation purposes and as per the requirements of our clients.